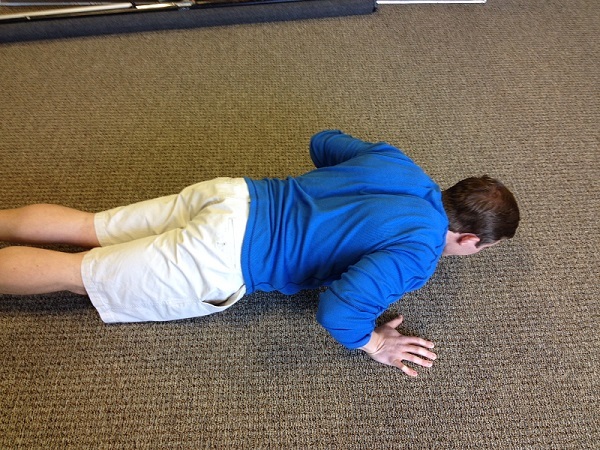 This week for our Exercise of the Week we are going to cover a long time favorite, and worst enemy, the push-up. 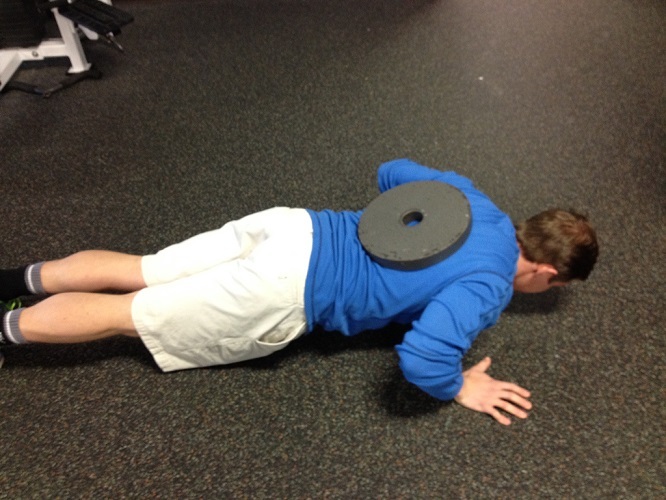 Everyone can benefit from the push-up and is the starting point many upper body strength feats. 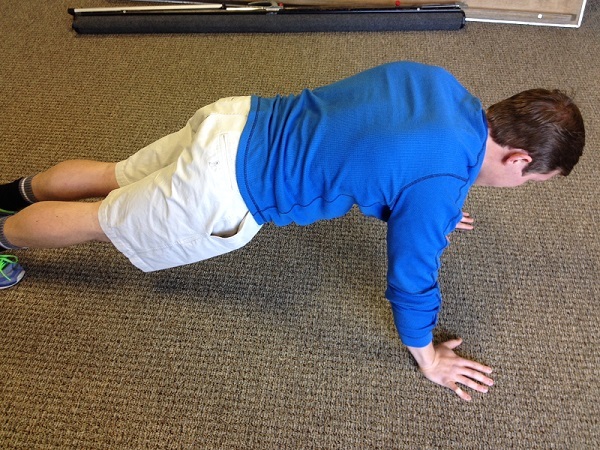 Push-ups work great for people of any fitness level because they can be changed and altered to fit you and your body. There are a couple of picture examples towards the bottom of this post as well as a video. 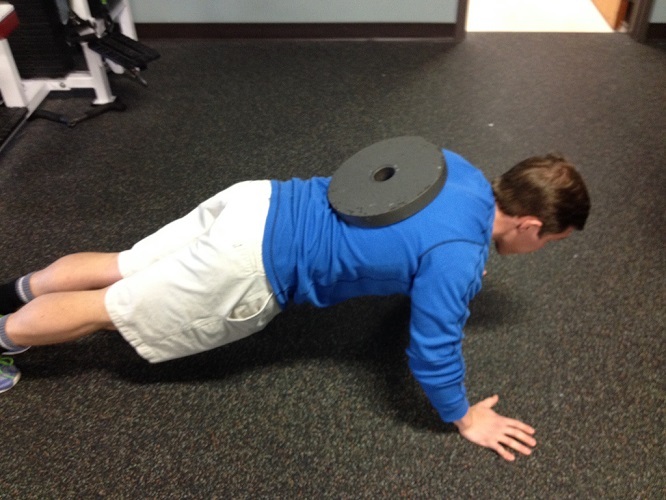 Aside from being the “Golden Boy” of body weight exercises, a push-up also provides great shoulder stability, upper body strength across the pecs, triceps, and deltoids, and challenges the core through a range of motion. Wherever you chose to place your hands (on the ground, bench, table, ect) you are going to place your hands shoulder width apart and focus on twisting your hands into the surface drawing the points of your elbows back towards your feet, this will help you lock in you shoulders and feel much more stable. Maintaining a tight core like you would for a plank, slowly begin lowering yourself towards your hands keeping your elbows at a 45 degree angle to your torso. 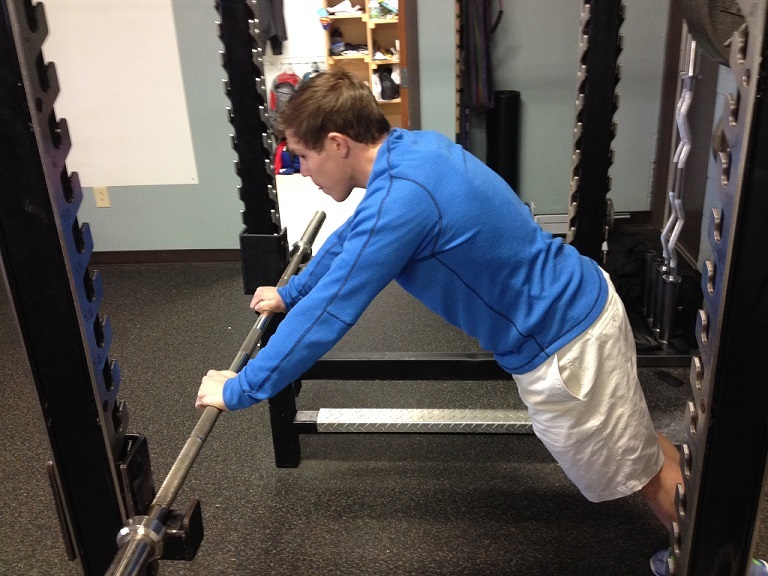 Continue twisting the surface away from you locking the shoulders in place as you reach the bottom of the push-up. As soon as your reach that point, drive your hands into the surface pushing your body back up into the air, remember to keep a tight core and shoulder girdle. As you get to the top of your push-up, punch your hands down as hard as you can to lock out the top of the push-up with extended elbows.